Users will also love the ProCal Module for the other options it provides. Their vehicle's factory Tire Pressure Monitoring System can now be recalibrated to allow for lower street pressures without triggering the annoying dash light. Further, the ProCal Module makes it possible to activate daytime running lamps, one-touch turn signal options and temporarily increase engine idle speed for winching. The ProCal Module is equipped with a series of easy-to-use dip switches. By reading the simple code card included with the Module, any user can quickly dial in a code for the desired recalibration. 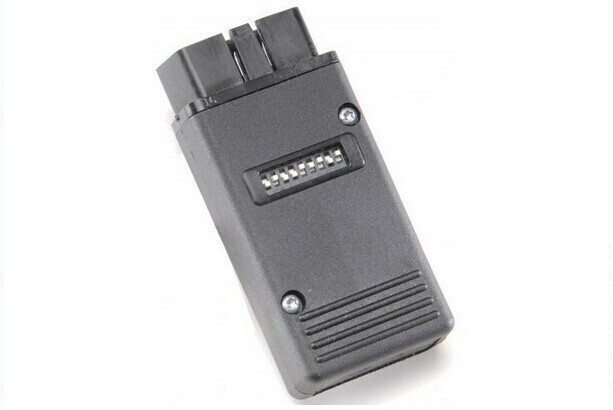 From there they simply plug the Module into their vehicle's OBD port and wait for the horn to honk. The whole process can be completed in mere minutes and it's just as easy to reverse. Compatible with 2007 and newer for Jeep Wranglers equipped with 3.6/3.8L V6, 5.7L or 6.1/6.4L V8, 2 or 4-doors and right or left-hand-drive. 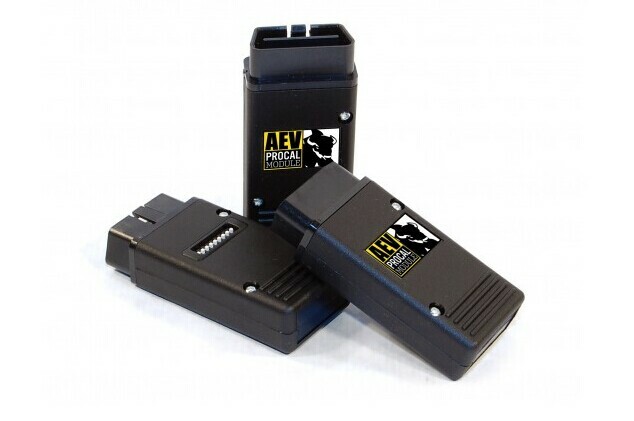 Once used for recalibration, AEV's ProCal Module stores a vehicle's VIN in its memory. While a VIN is stored in memory, a ProCal Module cannot be used on a second vehicle. 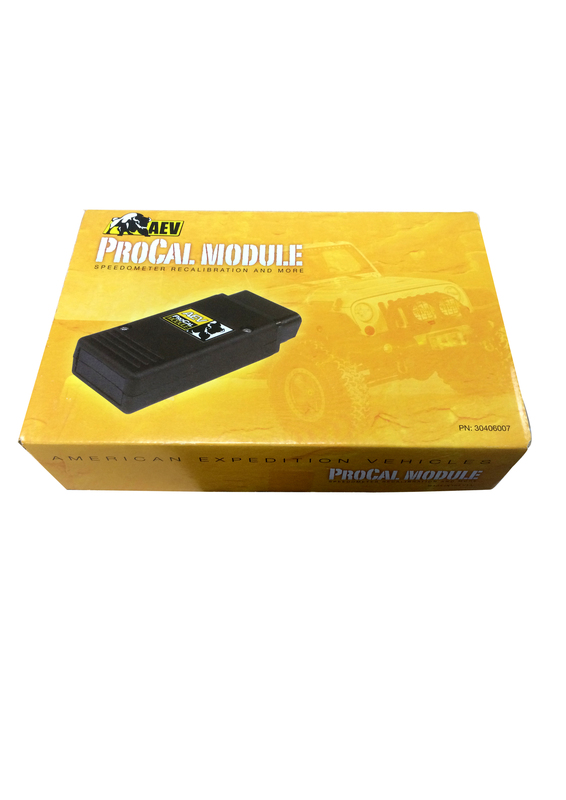 To use the ProCal Module on a second vehicle, the first vehicle must be recalibrated to stock. This will clear the first VIN and ready the ProCal Module for use on the second vehicle. AEV's ProCal Module now features an all-new Transfer Case Calibration function that allows customers to install a non-stock transfer case into their 2012+ JK Wrangler (w/ A580 trans) without causing the vehicle to go into limp mode. This includes 2-speed Atlas transfer cases as well as Chrysler's Command-Trac NV241 (Sport/Sahara) and Rock-Trac NV241 (Rubicon) transfer cases.This new feature is only found on the latest version of the ProCal Module (part number 30406007AG). As of 2/18, all ProCal Modules being shipped from AEV are the latest version and include this function.